I finished my first FCPA investigation in 2007 and sought to learn more about this uniquely American law and its requirements. Just as the 2016 FCPA enforcement year left us plenty of topics to discuss, the new year brings many uncertainties, and the direction of the law’s enforcement is a matter of some debate. Shearman & Sterling has released its bi-annual FCPA Digest -- an invaluable compendium of every DOJ and SEC enforcement action catalogued, explained and analyzed, including parallel cases (private suits), ongoing investigations and all DOJ opinion procedure releases. There's no subtle way to say this: We love Shearman & Sterling's FCPA Digest. We've all heard of people who call 9-1-1 to report that their cocaine's just been stolen. Well, something similar happened here -- under terrible circumstances. The case in federal bankruptcy court in the Southern District of New York is called In re Mark Allen Kalisch. The docket includes a complaint filed by Kalisch, the debtor, against a creditor called Maple Trade Finance Corporation. 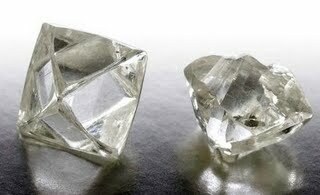 Kalisch said Maple Trade loaned him money for a diamond mining venture in Brazil. He also said everyone in the deal, including Maple Trade, knew it was illegal under the Foreign Corrupt Practices Act. Therefore, Kalisch argued, Maple Trade shouldn't be entitled to demand repayment of the loan. Kalisch also knew the diamond venture was illegal, Maple Trade said. He therefore had "unclean hands and is not entitled to any equitable relief." The amount of the loan was $600,000, with another $500,000 trade guarantee, all secured by Kalisch's New York apartment. In December 2008, the bankruptcy court granted judgment for Maple Trade. But in January 2009, Kalisch appealed to the U.S. District Court for the Southern District of New York. The appeal is still pending. Here's what happened. The mine was within Brazil's Cinta Larga Indian Reservation. So the diamonds would have to be smuggled away from the reservation and out of Brazil. The plot for the diamond-mining venture (or "business plan," as Kalisch called it) identified as a "silent partner" a government official in Brazil, and it involved bribery. In March 2004, after the diamonds were paid for but before they could be moved, the Brazilian government arrested 14 people in the scheme, including the local "silent partner" and several agents from the Bureau of Indian Affairs. The police shut down the mine and the diamonds disappeared. Then, within a month, real tragedy struck. There was a massacre at the reservation. The Indians killed 29 miners -- with "bows and arrows, spears and guns," because the miners were taking diamonds without permission. A Frontline story about the illegal trade and the massacre is here. No word yet whether the Justice Department will investigate possible FCPA and other offenses by the complainant Kalisch and the lender Maple Trade. But stand by. Download a copy of the complaint in In re Mark Allen Kalisch (consolidated with In re Mayra Diaz Kalisch) here. Our thanks to the 2009 FCPA Digest for listing the case in its Parallel Litigation section, at page 361. 1. 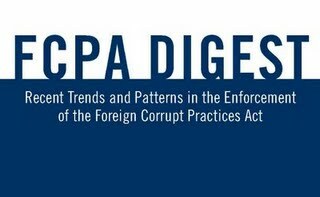 FCPA Digest of Cases and Review Releases Relating to Bribes to Foreign Officials under the Foreign Corrupt Practices Act of 1977 (the "FCPA Digest"). Written by Danforth Newcomb, a partner in Shearman & Sterling's New York office, this annual publication is the definitive catalog of FCPA prosecutions, enforcement actions and investigations. The writing is meticulous and every case is presented in a consistent at-a-glance format. No wonder the U.S. government appends it to official submissions to the OECD and others. Among recent FCPA investigations by the United States government, parallel investigations in the following foreign jurisdictions have been reported: Brazil (Gtech); Costa Rica (Alcatel Lucent); France (Halliburton, Total SA); Germany (Bristol Meyers, DaimlerChrysler, Siemens); Greece (Siemens); Hungary (Siemens); India (Xerox); Indonesia (Freeport, Monsanto); Italy (Immucor, UDI, Siemens); Korea (IBM); Liechtenstein (Siemens); Nigeria (Halliburton); Norway (Siemens); and Switzerland (Siemens). In addition, investigations into the defunct U.N. Iraq oil-for-food program by the governments of Australia, France, Denmark, India, South Africa and Sweden have also been reported. While the level of coordination between various governments and agencies currently conducting investigations is not fully apparent, the investigative and prosecutorial demands presented by these alleged violations are significant opportunities for the creation of an international standard of business propriety, casting aside any doubts about the strength of the international anti-corruption effort. That's pure gold from Mr. Newcomb -- whose FCPA practice began before the FCPA itself. As his firm bio notes, "His experience with the Foreign Corrupt Practices Act began in 1976 with an SEC mandated investigation of Lockheed Aircraft Corporation’s foreign marketing practice, which was a precursor for the FCPA." We're grateful to Mr. Newcomb and thankful to have the FCPA Digest. 2. Chapter 8, Part B of the U.S. Federal Sentencing Guidelines (2005). This little document is the force that shapes every corporate compliance program. Search the pages of any handbook or how-to about the FCPA and you'll end up back here -- whether you realize it or not. Section 8B2.1 is called "Effective Compliance and Ethics Program" and it's a gem of brevity and clarity. "To have an effective compliance and ethics program . . . an organization shall (1) exercise due diligence to prevent and detect criminal conduct; and (2) otherwise promote an organizational culture that encourages ethical conduct and a commitment to compliance with the law." It continues, "Such compliance and ethics program shall be reasonably designed, implemented, and enforced so that the program is generally effective in preventing and detecting criminal conduct." As we've said before, no organization will ever eliminate the possibility of FCPA violations. But any organization can prepare itself for the consequences -- by having an effective compliance program. The inspiration for how to do that can be found in Chapter 8, Part B of the U.S. Federal Sentencing Guidelines (2005). 3. Lay Person's Guide to the FCPA. It's a plain-English explanation of the FCPA's anti-bribery provisions. The U.S. Department of Justice wrote it to help those "unable to obtain specialized counsel on issues related to the FCPA." Among other things, Uncle Sam's missive famously lists the compliance red flags of overseas business development. And its concise statement on vicarious liability has opened countless eyes to the enormous risks created by the FCPA. It says, "U.S. parent corporations may be held liable for the acts of foreign subsidiaries where they authorized, directed, or controlled the activity in question, as can U.S. citizens or residents, themselves 'domestic concerns,' who were employed by or acting on behalf of such foreign-incorporated subsidiaries." The Lay Person's Guide to the FCPA works especially well as a handout to first-timers. Although it's written in non-technical language, it carries the authority of the U.S. government. That's a great combination. 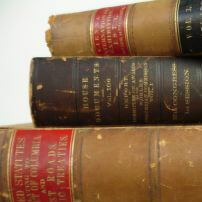 View the documents mentioned above by clicking on the titles.